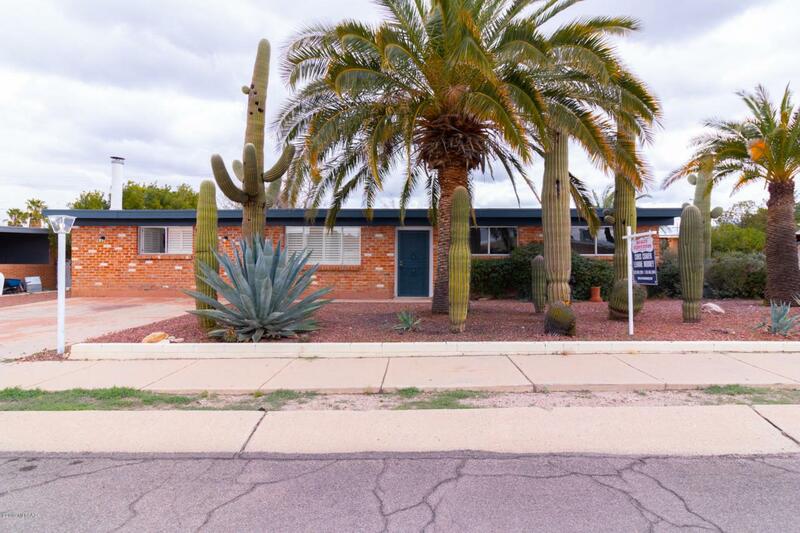 Beautiful curb appeal on this 3bd/2ba home located on a corner lot in Eastside Tucson. This brick home has plenty of space at 2,160 sqft & all on one level plus no HOA. 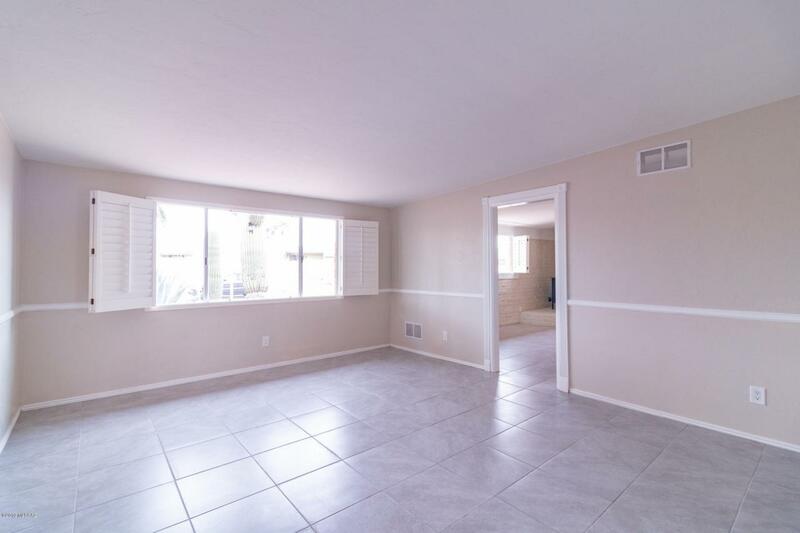 This home has new interior & exterior paint, new carpet in bedrooms & new tile throughout. 2 Large, separate living areas with plantation shutters. Newer kitchen with white cabinets & new SS Appliances. 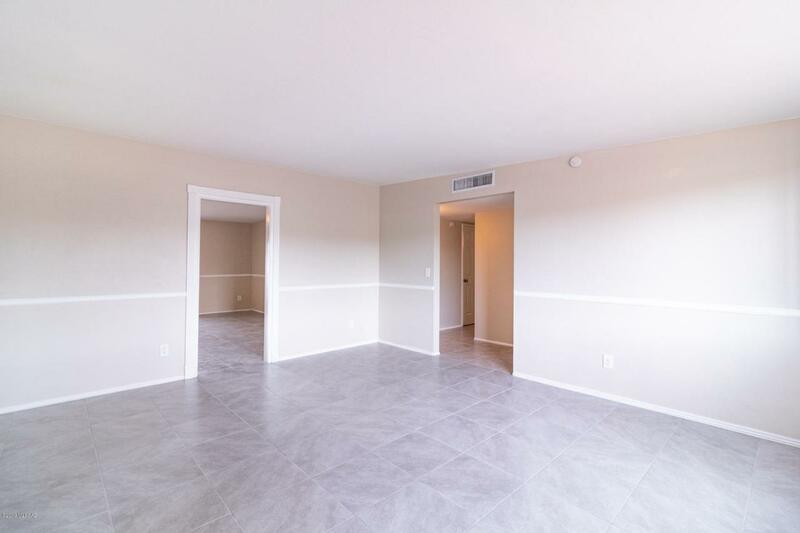 All rooms are good size plus a huge walk-in closet in your Master bedroom and walk-in shower. Large Interior laundry room with tons of space for storage. French doors leads out to full length of home covered patio, large yard w/ block wall, & 2 attached storage rooms w/ workbenches. 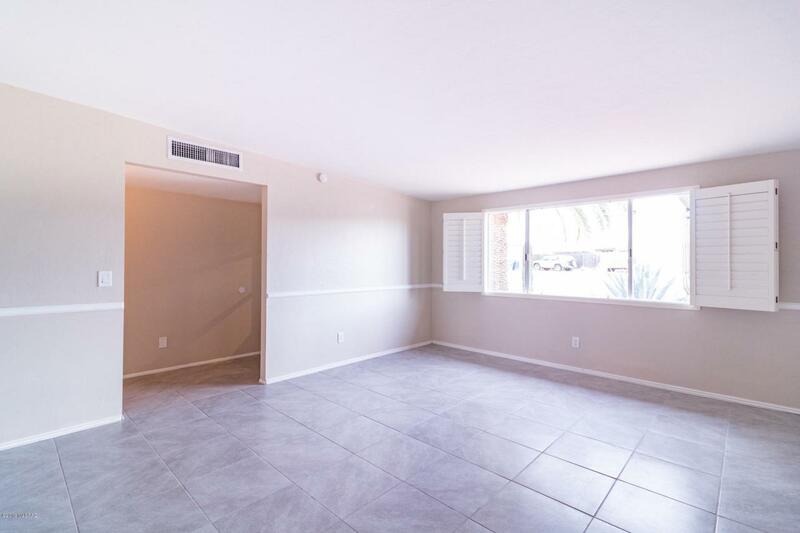 Home is conveniently located near several restaurants and Udall Park is only 1 mile away. Don't miss out on this Eastside home!